Have you ever felt like God was silent in your life regarding your desire to lose weight and live a healthier lifestyle? Have you ever taken that silence to mean that God doesn't listen or care about you and so . . . Pass the ice cream? In food, we search for the satisfaction we often feel like we are missing in other areas of our lives. Whether it's in our jobs, our families, relationships or even in our appearance. We sometimes turn to food, in hopes that it will give us the satisfaction or "pleasure" we are craving. 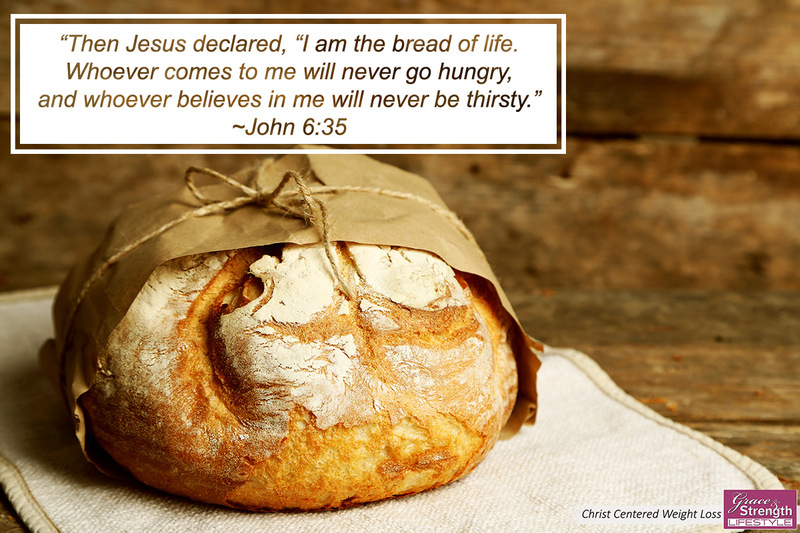 "I am the bread of life. Whoever comes to me will never be hungry again. Whoever believes in me will never be thirsty. The question becomes, "Is Jesus enough for us to turn to not just in the moments of chaos but in the little moments, the mundane moments where we have to choose between finding satisfaction and peace in Jesus or in a bag of chips, or fro yo, or even in organic pasture fed beef (because there can be a healthy food god as well as a junk food god). I think we need to ask ourselves…what god am I serving? Do I turn to other things to satisfy a deeper desire that only Jesus is able to satisfy? Are we missing blessings He longs to give us because we have lifted other things up as god? King David wrote, "Taste and see that the Lord is good." It’s not a command; it’s an invitation. Jesus, give me a heart that craves only You and You alone. May I not turn to anything else to satisfy my hearts longings. You alone will only satisfy.